Before his death, He was an ordinary Orc warrior. He was buried underground after he had repeatedly fought in the battlefield. 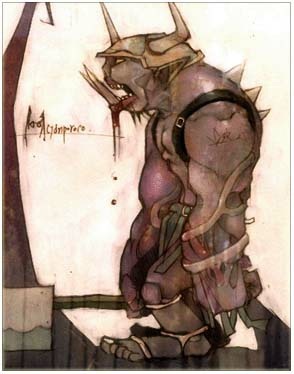 After the resurrection, Although his body has been rotted, with some of his remaining consciousness, He guards the territory belonging to the Orcs. He will have only three words for the invaders - go to hell!